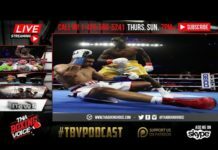 Mike Stafford, trainer of ‘The Problem’ Adrien Broner(30-1, 22KO’s), was in the building after the Floyd Mayweather vs. Manny Pacquiao fight was over and told Fighthype.com his man would take a fight with the UK’s Amir Khan((30-3, 19KO’s) without hesitation. 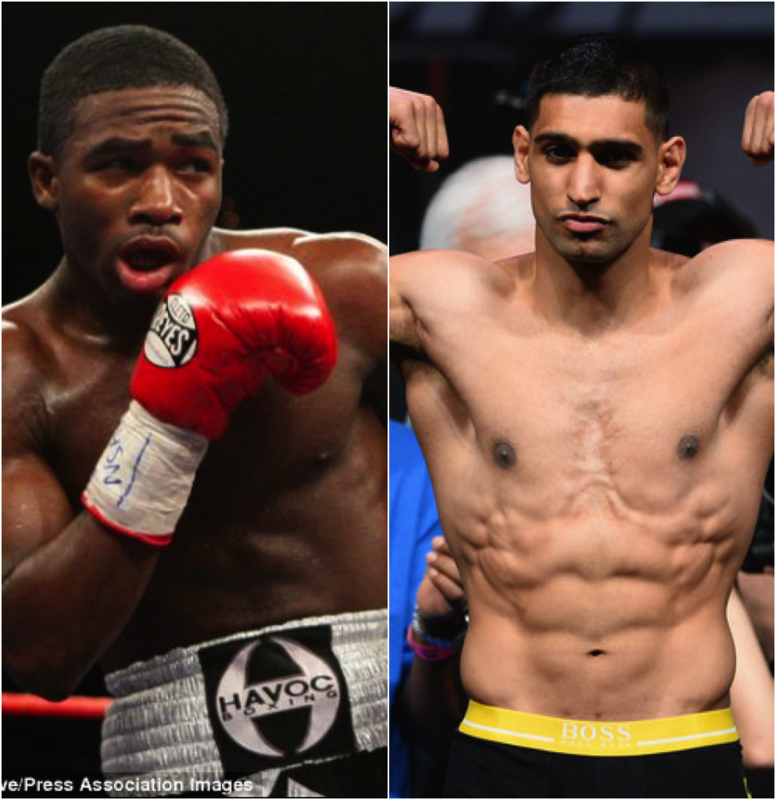 Khan and Broner sit seven pounds apart at light-welter and welterweight respectively, and Khan has stated his refusal to slim back down to his old class on several occasions regardless of the opponent. Both men have been circling one and other over the last few months, but nothing tangible has come of their back-and-forth internet barbs as of yet. Broner had his own misguided stint at welterweight that started well enough when he dethroned Paulie Malignaggi for his WBA crown in 2013, only to be brutalised by Marcos Maidana six months later in his first career defeat. His ego was forced to deflate along with his gut, and he has campaigned at 140 lb. ever since. 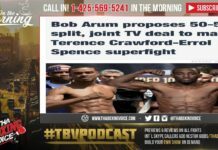 During his current run at junior welterweight, he has clocked three decent decision wins against Carlos Molina, Emmanuel Taylor and John Molina Jr. A foray northward may be ill-advised. 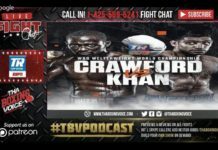 Khan has also looked impressive in his new surroundings, especially so last time out when he outclassed southpaw stylist Devon Alexander over twelve rounds. He would be a risky assignment for a man already shown to be a tad small for the division. Coincidentally, Stafford named Alexander, along with Lamont Peterson and Floyd Mayweather as the three men Broner would not fight -they’re all quite friendly apparently- but left the door open for anyone else. Khan must be high on the list of preferred options though given his name value and what they probably view as a suspect jaw. We’ll see how this one unfolds.